City Ghost Guides, 9780997582901, 348pp. 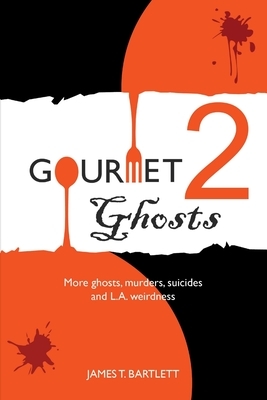 With an arsenal of poison, jealousy, despair, serial killers, scandals, guns, and the ghost stories left behind, Gourmet Ghosts 2 is a collection of murder, mystery and history at dozens of bars, restaurants, hotels and landmarks across Los Angeles. These weird tales, unpublished accounts, shocking photos and treasures uncovered in the newspaper archives will take you from Downtown to The Valley - and beyond. Learn the truth about "The Romeo Slasher," "The Rose Murder," the Deadliest Hotel in L.A. and many more, plus discover where you can drink with the devil or dine with a ghost.